2017 is near, which means another year for love, new chapters in life, and best of all, engagements! With holidays like New Year’s Eve and Valentine’s Day, the beginning of the year is a popular time for wedding proposals. Nothing puts hearts in people’s eyes like a cool winter breeze and fresh snow on the ground. Love is indeed in the air and while there are so many different beautiful rings to choose from, the most important thing is that you choose the perfect ring for your girl. Here are a few of the engagement rings we suspect will be hot picks for 2017. Three-stone rings are obviously a gorgeous option, but in addition to their physical features, many people select this type of ring for its various symbolic meanings. One meaning that many couples love is that the three stones symbolize the past, present, and future of the relationship. Another popular meaning is that the stones each represent what some consider to be pillars of marriage: friendship, love, and fidelity. Some even prefer three-stone rings because of religious affiliations they may have and understand the symbolization of the stones as two individuals coming together under God. Whatever the meaning, if you want more than just a pretty ring, the three-stone ring may be perfect for your engagement. Three-stone rings come in many different styles: two smaller outer stones and a larger center stone or vice versa, all diamonds, or a diamond with other precious stones. These are easily customized to get exactly what you want. Another way to personalize your engagement ring is to consider using more than exclusively diamonds in your design. While traditional ring enthusiasts sometimes advise against colorful engagement rings because of the difficulty to match clothing with different colors, many trendsetters and risk-takers are on the other hand excited at the possibility of including some color in their ring. Most jewelry stores allow you to pick and choose various combinations of stones that you’d like, so don’t feel pressured to only choose a type of diamond. You have options! Many people these days are falling in love with adding birthstones like sapphires, emeralds, aquamarine, and rubies to add a little personal touch for their soon-to-be bride. Morganite rings are also beautiful non-traditional stones that are currently trending in the wedding industry, perfect for women who adore the color pink. Pearl engagement rings, although less common, are also an option for a bride that wants a unique, but classy flare. In addition to the unique and often vintage look of rose gold engagement rings, people that select these types of rings are also fans of the durability, affordability, and the way rose gold complements a variety of skin tones. 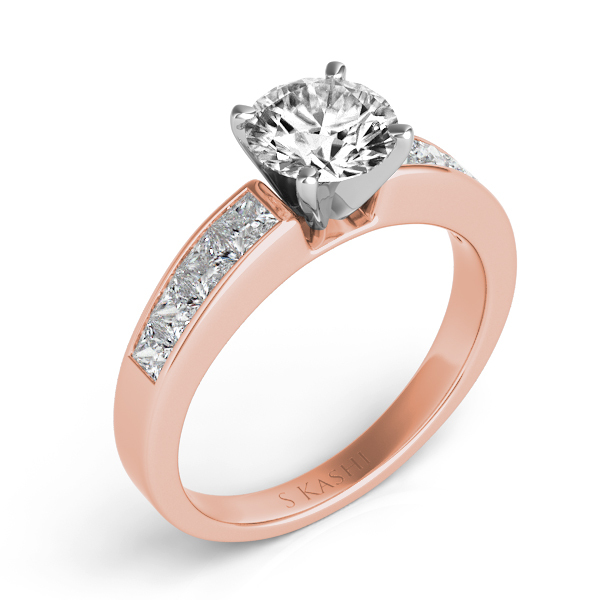 Another bonus of buying a rose gold ring is that unlike white gold, rose gold does not require a rhodium plate. Choosing this style of ring will be sure to have your fiancé starry-eyed at her left hand for quite some time after your big proposal. 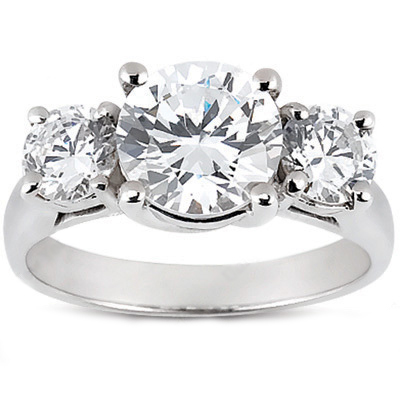 Classic solitaire engagement rings will always be trending because the classic look never goes out of style. (Hence, the word classic.) So, if you would describe your almost fiancé as traditional and elegant, you can almost guarantee that she’s going to want a classic solitaire diamond engagement ring. But don’t let the “classic” title fool you, there is still plenty of room for creativity when selecting a solitaire diamond ring. 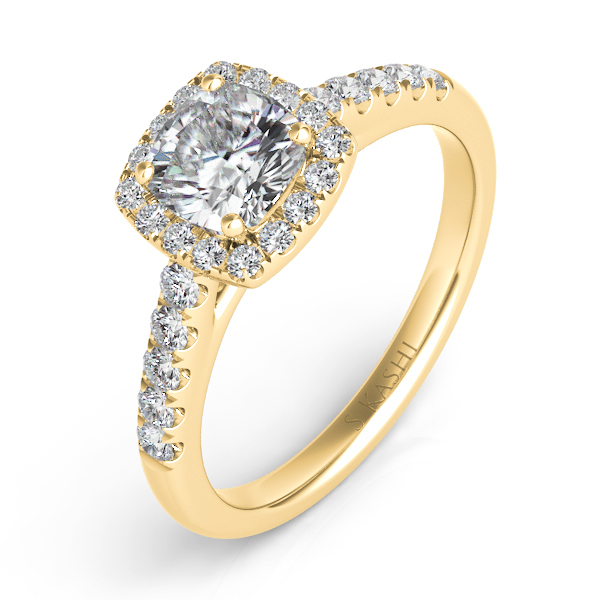 Simple diamond rings can be just as (or even more) exquisite as some of the more complex designs. With this type of ring, you get to focus on the diamond as the centerpiece of the ring, using every other feature of the ring to highlight its central design. Many people who choose classic solitaire rings like to get creative with the band and the setting of the diamond itself. 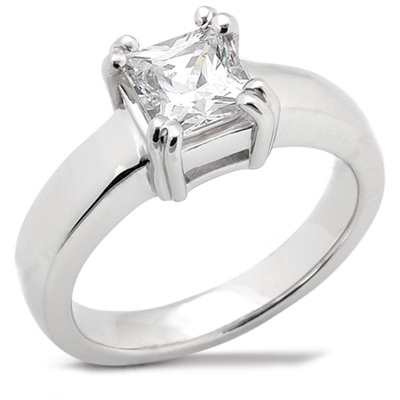 If you’re considering this type of ring, be sure to inquire about what your options are for making the ring your own. Infinity bands are absolutely another hot pick for next year’s engagement trends. Couples love incorporating the infinity sign in their engagement rings and wedding bands for obvious reasons. While it used to be a symbol primarily used in math equations, the infinity sign has made its way into the jewelry world and doesn’t have any plans to leave. Women everywhere are embracing the new trend and love the thoughtful sentiment behind it. The pure symbolism of spending forever with someone is a lovely reminder of the marriage that the two individuals are about to commit themselves to. Combine that beautiful meaning with a gorgeous stone and you have an unforgettable ring that your bride won’t be able to keep off of her Snapchat story. Although still considered one of the more traditional styles of ring, the cushion cut is still a fan-favorite and is sure to stick around for 2017. The beauty of this particular cut is that being one of the oldest styles of engagement rings, it has a vintage-antique charm to it, no matter what other features the ring may possess. People that adore this ring are typically looking for something traditional and reminiscent of classic wedding styles and love the way that the cut reflects light (it can have a cool kaleidoscope effect that’s striking to see...and show off.) Another bonus of choosing this style ring is that it’s great for everyday wear because the cut makes it nearly impossible to get caught in clothing or hair. While all of these engagement ring styles have special, unique charms to them, the most important thing to keep in mind when selecting a ring is to make sure it fits the personality and meets the desires of the soon-to-be bride, because at the end of the day, the ring gets to live on her finger! If you’re still having trouble with what your bride might want, ask her! She’s probably got some ideas of her own (and a Pinterest board of beautiful diamonds that she’s had since your first date). After you find the perfect ring for your perfect girl, it’s time to start planning the proposal. Take a deep breath, gentlemen, this can get a little nerve wracking. But know that you’re not alone! Depending on your style, you may want something small, quiet, and simple, or maybe you want to plan something extremely elaborate that maybe includes a GoPro and some dancing. Regardless of how you do it, it's sure to be one of the best days of your life. If you need some ideas on how to propose to the special one in your life, check out some of these awesome proposals that went viral (and for good reason). Oh, and, don’t forget to grab some tissues—you’re going to need them! 2017 is going to be a great year for engagement ring trends, and an even better year for your engagement. Congratulations to you and your significant other. 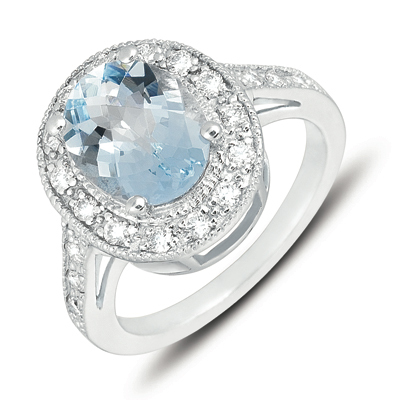 For more information about our diamonds and jewelry, Contact Us today and speak to one of our specialists.